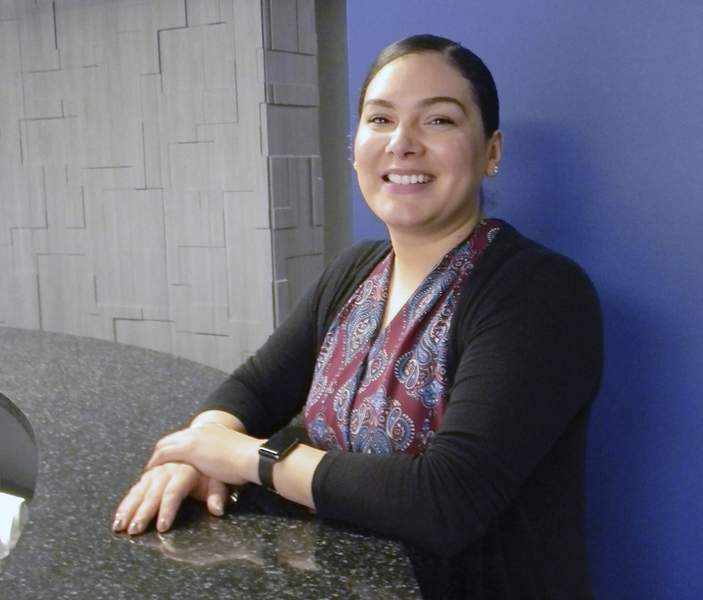 Ron Shawgo | the Journal Gazette While studying to earn a degree in communications, Stephany Alarcon also is IPFW's students program coordinator, helping new students get acclimated with college. It happens quite often that during IPFW registration, Stephany Alarcon spies a future student accompanied by a supportive parent who knows little English. There's a look of relief as she steps in to engage them. It's that kind of interaction that brought Alarcon to her job as new student programs coordinator. She welcomes freshmen and coordinates new student orientation for incoming classes. Alarcon, 27, manages 20 orientation student leaders, usually upperclassmen interested in taking a leadership role by helping new students. Alarcon does this as she pursues her own degree in communications. During the advising and registration process, Alarcon and her student leaders talk to new students about resources on campus. Students are split by their educational focus and go with an orientation leader who helps them register. Alarcon arrived at IPFW in 2012 and was a staff member in the Office of Diversity and Multicultural Affairs for five years. With a background in Spanish and English, Alarcon has been in her current job, something she feels she stumbled into, for about a year. For now, Alarcon is concentrating on her job and enjoys seeing her student leaders grow.